Today, we’ll be projecting the expected points, rebounds and assists for three players, LeBron James, Russell Westbrook & Damian Lillard, in the “Awesemo.com Presents: $1,000,000 Perfect Line Bonus + $10,000 GTD – LeBron’s Kingdom ($2,500 to 1st! )“ PlayLine contest. LeBron James and the Los Angeles Lakers have encountered no shortage of drama in recent weeks, and their play has taken a hit as a result. The Lakers have lost their last two games, including a massive 136-94 loss to the Victor Oladipo-less Indiana Pacers, and currently sit 10th in the Western Conference. James has played in just two games since returning from his month-long absence and has turned in a mixed bag. In his initial game back against the Clippers, he posted 24 points, 14 rebounds and nine assists on 9-of-22 shooting from the field, and in the most recent game he had 18 points, seven rebounds and nine assists on 7-of-12 shooting. LeBron, though, will have to fend off the outside news to focus on tonight’s tough matchup against the Boston Celtics, another team surrounded by rumors. The Celtics possess a tremendous defense, ranking fourth in both opponents’ points per game and defensive rating, and they’ve got some options when it comes to guarding James. We’ll likely see a combination of Jayson Tatum, Jaylen Brown, and even Marcus Smart on him tonight. Brown is probably the best option given his length, but Tatum can certainly hold his own. Smart is a well-known defender and is one of the best in the league, but he’s smaller and is more suited to defend guards. LeBron always shines bright against superior competition, but don’t be expecting anything major tonight. The Lakers’ struggles are real, and their chemistry has taken a big hit. It won’t be a quiet night by any means for LeBron but look for a similar line to what he posted against the Pacers. 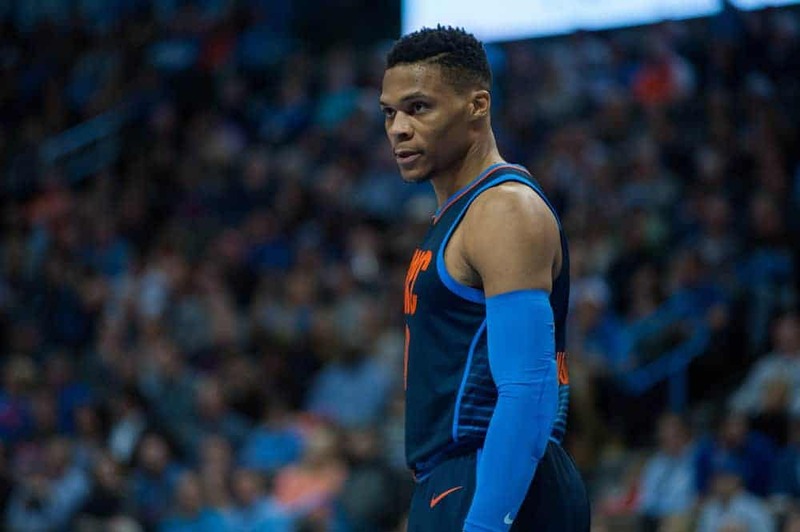 The Oklahoma City Thunder and Russell Westbrook have found their swagger after an underwhelming start to the season. They’ve won 8 of their last 10 games and have shot up to third in the Western Conference. Westbrook, meanwhile, has posted triple-doubles in seven straight games and is playing on another level. His scoring has taken a back seat to Paul George, who is lighting it up at the moment, but Westbrook has embraced it, posting big rebound and assist numbers. In three games during February, Westbrook has posted averages of 17.3 points, 13.0 rebounds and 15.3 assists per game, and those numbers provide a pretty good indicator as to what his stat-line may look like today. The Thunder’s opponent tonight, the Memphis Grizzlies, sit 14th in the Western Conference, however, they’ve won two in a row and shouldn’t necessarily be taken lightly. They rank dead last offensively, but they’re first in the NBA in opponents’ points per game. Their defense has always been tremendous, and that hasn’t changed despite the team’s struggles this season. Westbrook might not scrape 20 points tonight, but you can guarantee he’ll be productive in all other categories. After exploding for 36 points, eight rebounds and 11 assists against the Jazz, Lillard was underwhelming in Portland’s loss to the Miami Heat on Tuesday. He recorded 13 points, three rebounds and 10 assists on 5-of-15 shooting from the field and 2-of-10 from three, and that’ll set him up nicely for a bounce back tonight against the San Antonio Spurs. The Spurs have lost two in a row and haven’t lost three in a row since mid-November. They’ll be motivated to get the job done tonight and odds are in their favor. They sit middle of the pack offensively and defensively, ranking 13th in points per game (112.6) and 14th in opponents’ points per game (110.4). The Spurs, though, have encountered some injury issues with their points guards and that bodes well for Lillard. The two teams have met twice already this season and Lillard has torched them. He had 29 points, two rebounds and nine assists in the first meeting, and 37 points, two rebounds and 10 assists in the second. Based on the previously mentioned factors, Lillard having another big game against the Spurs tonight seems likely, even if Portland can’t pull out a win.